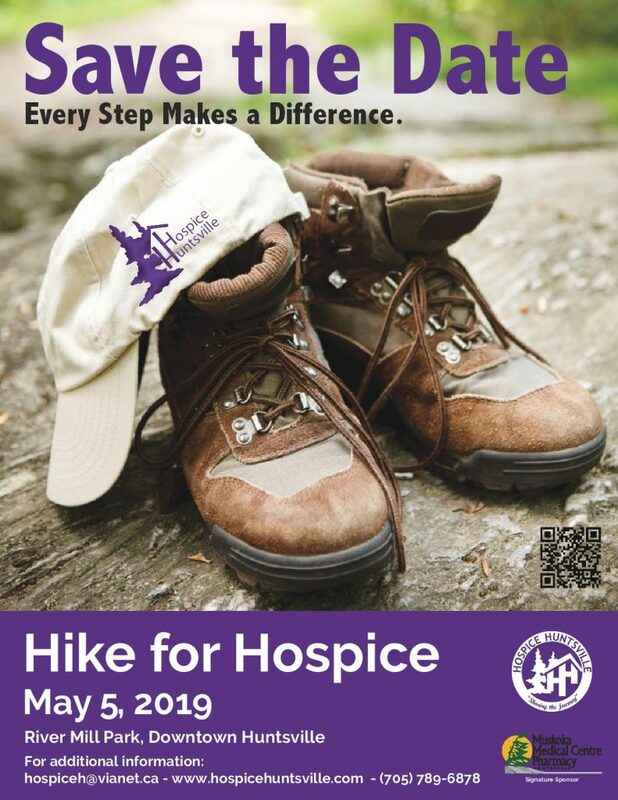 What is the Hike for Hospice? 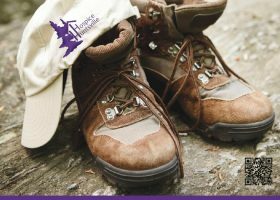 The Hike for Hospice is a nationwide event hosted by hospice and palliative care organizations. This event occurs annually on the first Sunday of May and kicks off National Palliative Care Week. The hike helps build awareness and raise funds to ensure individuals and their family members, facing end of life situations receive support at no charge. The hike is also a way to celebrate and honour our loved ones in a special and meaningful way. 1. Purple Tea and Silent Auction: These fundraising activities will be held at the Huntsville Place Mall on Saturday, April 13, 2019. Come early to check out the auction items. a) The Silent Auction will be set up in the storefront across from the Hallmark store at the Mall.  Thursday, April 11th from 2:00 p.m. to 6:00 p.m.
 Friday, April 12th from 4:00 p.m. to 8:00 p.m.
b) The Purple Tea will be held in the Bears Den Restaurant (new location) in the Huntsville Place Mall on Saturday, April 13, 2019. Tickets are sold out- thank you for the amazing response! 2. Purple Boot Campaign: During the month of April, look for the Purple Boots at your local businesses in the Huntsville area. • Please donate when you see a purple boot! • If your business would like one of the Purple Boots, please contact Sandra Rosewarne, Signature Events Coordinator, 705-789-6878 ext. 260 on Tuesdays or Wednesdays or email srosewarne.hospiceH@vianet.ca. 3. Hike for Hospice: The final fundraising event is the Hike for Hospice itself. The Hike takes place at River Mill Park (10 King Street in downtown Huntsville) on Sunday, May 5th 2019. Registration opens at 12:00 p.m. and hikers leave River Mill Park at 1:15 p.m.
a) Overview: This family fundraising event creates awareness about the need for compassionate end of life care and celebrates the donations made to support this need. Families and friends gather to hike and enjoy a variety of fun activities. A special Celebration of Life gathering space provides an opportunity to remember loved ones. • Online Fundraising System, which simplifies and streamlines the donation process. Please click here for the Hike for Hospice Fundraising link. You will be taken directly to the Hike for Hospice Huntsville CanadaHelps Donation Landing page. • Paper Pledge Form, available for pick up Hospice Huntsville/Algonquin Grace 100 Frank Miller Drive, Huntsville. Do you find it difficult to ask your friends and family to donate? Inquire at your workplace to see if Corporate Matching is offered to increase your fundraising total. If you have any questions, please contact Sandra Rosewarne, Signature Events Coordinator, 705-789-6878 ext. 260 on Tuesdays or Wednesdays or email srosewarne.hospiceH@vianet.ca. 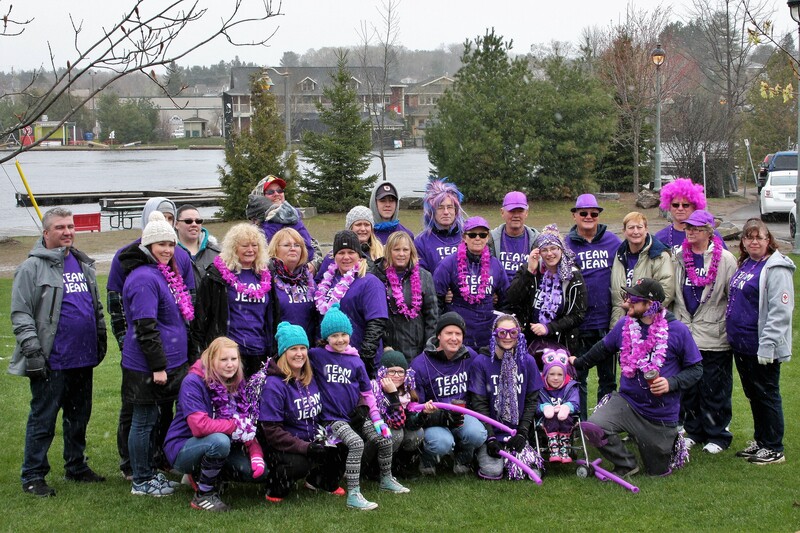 Fundraising results from the Hike for Hospice Huntsville Fundraising Campaign will be posted on the Hospice Huntsville website at the end of May 2019. Volunteers make our fundraising activities run smoothly so our events are fun and enjoyable for all participants. If you are interested in becoming a volunteer for any of our fundraising activities, please contact Hospice Huntsville at 705-789-6878 ext. 236 or email hospiceH@vianet.ca. Thank you to our generous sponsors for their commitment to the 2019 Hike for Hospice & Swim for Hospice. Our sponsors proudly demonstrate their commitment to our local communities and to end of life care!